As more revelations begin to unfold, one can’t help but wonder if other governments are doing this. We now ‘know’ that the British and the Americans are doing the exact same thing they constantly criticize China for–and if a country like America, where they love their Bill of Rights, specifically the Fourth Amendment can stoop to whole-sale surveillance of both American and global internet traffic, what more other nations that don’t share the same view of personal privacy of citizens. Countries like Malaysia, where we also ‘know’ they’re spying on their citizens albeit in a more selective and focused way. Would anyone really be surprised if Singapore had a similar initiative? How about countries like Syria, Burma or Saudi Arabia. [box icon=”chat”]Struggling to cope with increased demands, a more complex environment, and working within laws that critics say are hopelessly outdated, GCHQ starting casting around for new, innovative ideas. Tempora was one of them. 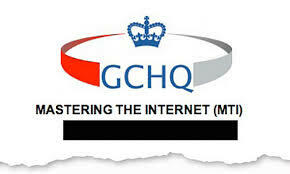 Though the documents are not explicit, it seems the Mastering the Internet programme began life in early 2007 and, a year later, work began on an experimental research project, run out of GCHQ’s outpost at Bude in Cornwall. Its aim was to establish the practical uses of an “internet buffer”, the first of which was referred to as CPC, or Cheltenham Processing Centre. By March 2010, analysts from the NSA had been allowed some preliminary access to the project, which, at the time, appears to have been codenamed TINT, and was being referred to in official documents as a “joint GCHQ/NSA research initiative”. TINT, the documents explain, “uniquely allows retrospective analysis for attribution” – a storage system of sorts, which allowed analysts to capture traffic on the internet and then review it.